Insight Retreats are opportunities to engage in full-time mindfulness training. The daily schedule involves periods of sitting and walking meditation, instructions, dharma talks, work meditation, and practice discussion with teachers. Silence is maintained throughout most of the retreat. Cost: Our retreats are offered freely at no cost to anyone who participates. Most of the financial support for IRC comes from donations participants offer at the end of retreats. Their generosity is what allows others to participate in future retreats. A refundable deposit is required to apply for a retreat. The deposit is refunded when one arrives at the retreat or if one cancels three weeks before the start of the retreat. Lottery: All applications that come in during the first 3 weeks of registration are entered into a lottery. Those not selected can be placed on the Waiting List. If an applicant is not selected in the lottery after applying for a retreat, the probability of getting accepted increases with each subsequent retreat they apply for. More Info. A silent mindfulness retreat with alternating sitting and walking meditation, instruction, dharma talks, work meditation, and practice discussion with the teachers. Suitable for both beginners and experienced practitioners. This meditation retreat will draw inspiration from the rich Zen history of Jikoji, and focus on the cultivation of qualities which support the beautifully natural unfolding of insight: mindfulness, compassion, and samadhi (concentration), within community. There will be periods of sitting, walking, guided meditations, and time to connect with the expansive nature all around us at Jikoji. Unplug and reboot! Suitable for both beginners and experienced practitioners. Note: Your application and $100 deposit must by received by 3/14/19 to be entered into the lottery. Applicants will be notified in late March if they have been Accepted or are on the Waiting List. Subsequent applications will be added to the Waiting List. A silent retreat devoted to cultivating metta (loving kindness, friendliness, goodwill) for oneself and others with alternating sitting and walking meditation, instruction, dharma talks, work meditation, and practice discussion with the teachers. Suitable for both beginners and experienced practitioners. Previous Insight Retreat practice is strongly encouraged. Note: Submit your application and $200 deposit to be added to the Waiting List. Note: Submit your application and $100 deposit to be added to the Waiting List. Exploration of the mindfulness practice as taught by Sayadaw U Tejaniya, encouraging relaxation of body and mind while paying close attention to present moment experience and the quality of the mind that meditates. Self-directed practice with guidance provided through teachings, Q & A sessions and discussions with the teacher. Requirements: Attended at least 4 weeks of previous silent retreat practice and teacher permission. Note: Submit your application and $350 deposit to be added to the Waiting List. RETIRO RESIDENCIAL EN ESPAÑOL: Retiro de meditación y Atención Plena en silencio con periodos de meditación, pláticas de Dharma, trabajo voluntario y pláticas individuales con las maestras para hablar sobre la práctica. Fechas y Horas: 30 de julio al 4 de agosto, 2019. Llegar martes entre las 2 y 4pm Retiro termina el domingo a la 1 pm. Nota: Para ser considerado en la lotería tenemos que haber recibido su inscripción y el depósito de $100 para el 20 de abril 2019. Requirements: Previous introduction to Insight meditation and permission from teacher. Note: Your application and $100 deposit must by received by 4/20/19 to be entered into the lottery. Applicants will be notified in early May if they have been Accepted or are on the Waiting List. Subsequent applications will be added to the Waiting List. Note: Your application and $100 deposit must by received by 5/4/19 to be entered into the lottery. Applicants will be notified in late May if they have been Accepted or are on the Waiting List. Subsequent applications will be added to the Waiting List. Note: Your application and $100 deposit must by received by 5/20/19 to be entered into the lottery. Applicants will be notified in early June if they have been Accepted or are on the Waiting List. Subsequent applications will be added to the Waiting List. A silent mindfulness retreat for experienced yogis that includes alternating sitting and walking meditation, instruction, dharma talks, work meditation, and practice discussion with the teacher. Requirements: Attended at least four, 7-day (or longer) silent Vipassana retreats. Note: Your application and $350 deposit must by received by 5/6/19 to be entered into the lottery. Applicants will be notified in late May if they have been Accepted or are on the Waiting List. Subsequent applications will be added to the Waiting List. Note: Your application and $100 deposit must by received by 7/24/19 to be entered into the lottery. Applicants will be notified in early August if they have been Accepted or are on the Waiting List. Subsequent applications will be added to the Waiting List. Note: Your application and $200 deposit must by received by 7/11/19 to be entered into the lottery. Applicants will be notified in late July if they have been Accepted or are on the Waiting List. Subsequent applications will be added to the Waiting List. A silent mindfulness retreat with alternating sitting and walking meditation, instruction, dharma talks, work meditation, and practice discussion with the teachers. The teachers will explore the shared and complementary teachings of Zen and Insight Meditation. Suitable for both beginners and experienced practitioners. Note: Your application and $200 deposit must by received by 7/24/19 to be entered into the lottery. Applicants will be notified in early August if they have been Accepted or are on the Waiting List. Subsequent applications will be added to the Waiting List. A silent mindfulness retreat with alternating sitting and walking meditation, instruction, dharma talks, work meditation, and practice discussion with the teacher. Suitable for both beginners and experienced practitioners. Note: Your application and $100 deposit must by received by 8/8/19 to be entered into the lottery. Applicants will be notified in late August if they have been Accepted or are on the Waiting List. Subsequent applications will be added to the Waiting List. Note: Your application and $200 deposit must by received by 8/29/19 to be entered into the lottery. Applicants will be notified in mid-September if they have been Accepted or are on the Waiting List. Subsequent applications will be added to the Waiting List. Note: Your application and $200 deposit must by received by 10/17/19 to be entered into the lottery. Applicants will be notified in early November if they have been Accepted or are on the Waiting List. Subsequent applications will be added to the Waiting List. Note: Your application and $200 deposit must by received by 11/12/19 to be entered into the lottery. Applicants will be notified in late November if they have been Accepted or are on the Waiting List. Subsequent applications will be added to the Waiting List. This course will undertake a study of brahmavihāra meditation and the gradual entry into emptiness (described in the Cūḷasuññata-sutta, MN 121), relating both of these modes of practice to progress to awakening. 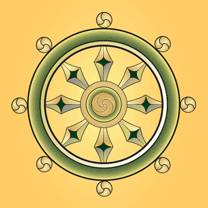 A central focus during the study sessions will be the bodhipakkhiya dhammas, those qualities and practices that according to early Buddhism are central for liberation. This course is meant for experienced practitioners of meditation only who wish to deepen their understanding and practice. The emphasis throughout the course will be on what is of practical relevance to actual meditation practice. The course will combine study and discussion sessions in the mornings with guided meditation instructions given during the silent practice periods of the rest of the day. Max Erdstein will be assisting throughout the course. Requirements: Attended previous courses on Satipatthana by Bhikkhu Anālayo. Required reading in preparation for the course: Anālayo, Compassion and Emptiness in Early Buddhist Meditation, Windhorse Publications (2015). Note: Your application and $200 deposit must by received by 12/18/19 to be entered into the lottery. Applicants will be notified in early January if they have been Accepted or are on the Waiting List. Subsequent applications will be added to the Waiting List. Exploration of the mindfulness practice taught by Sayadaw U Tejaniya, encouraging awareness and wisdom through relaxation of body and mind while paying close attention to present moment experience and the quality of the mind that meditates. Primarily self-directed practice with guidance provided through teachings, Q & A sessions and discussions with the teachers. Note: Your application and $200 deposit must by received by 12/31/19 to be entered into the lottery. Applicants will be notified in mid-January if they have been Accepted or are on the Waiting List. Subsequent applications will be added to the Waiting List. Note: Your application and $350 deposit must by received by 12/24/19 to be entered into the lottery. Applicants will be notified in mid-January if they have been Accepted or are on the Waiting List. Subsequent applications will be added to the Waiting List. Note: Your application and $100 deposit must by received by 3/25/20 to be entered into the lottery. Applicants will be notified in early April if they have been Accepted or are on the Waiting List. Subsequent applications will be added to the Waiting List. Note: Your application and $100 deposit must by received by 3/9/20 to be entered into the lottery. Applicants will be notified in late March if they have been Accepted or are on the Waiting List. Subsequent applications will be added to the Waiting List. Fechas y Horas: Del 27 de junio al 3 de julio, 2020. Llegar el sábado entre las 2 y 4 pm. El retiro termina el viernes a la 1 pm. Requisito: Las personas principiantes deben tener una introducción previa a la meditación Insight (Introspectiva/Vipassana) y permiso de la maestra. Nota: Para ser considerado en la lotería tenemos que haber recibido su inscripción y el depósito de $100 a más tardar el 19 de marzo, 2020. Note: Your application and $100 deposit must by received by 3/19/20 to be entered into the lottery. Applicants will be notified in early April if they have been Accepted or are on the Waiting List. Subsequent applications will be added to the Waiting List. Note: Your application and $350 deposit must by received by 3/10/20 to be entered into the lottery. Applicants will be notified in late March if they have been Accepted or are on the Waiting List. Subsequent applications will be added to the Waiting List. Note: Your application and $100 deposit must by received by 5/3/20 to be entered into the lottery. Applicants will be notified in mid-May if they have been Accepted or are on the Waiting List. Subsequent applications will be added to the Waiting List. Note: Your application and $350 deposit must by received by 5/4/20 to be entered into the lottery. Applicants will be notified in late May if they have been Accepted or are on the Waiting List. Subsequent applications will be added to the Waiting List. Note: Your application and $100 deposit must by received by 7/22/20 to be entered into the lottery. Applicants will be notified in early August if they have been Accepted or are on the Waiting List. Subsequent applications will be added to the Waiting List. Note: Your application and $200 deposit must by received by 7/2/20 to be entered into the lottery. Applicants will be notified in mid-July if they have been Accepted or are on the Waiting List. Subsequent applications will be added to the Waiting List. Note: Your application and $200 deposit must by received by 7/16/20 to be entered into the lottery. Applicants will be notified in late July if they have been Accepted or are on the Waiting List. Subsequent applications will be added to the Waiting List. Note: Your application and $200 deposit must by received by 8/4/20 to be entered into the lottery. Applicants will be notified in mid-August if they have been Accepted or are on the Waiting List. Subsequent applications will be added to the Waiting List. Note: Your application and $200 deposit must by received by 8/27/20 to be entered into the lottery. Applicants will be notified in mid-September if they have been Accepted or are on the Waiting List. Subsequent applications will be added to the Waiting List. Note: Your application and $100 deposit must by received by 9/6/20 to be entered into the lottery. Applicants will be notified in late September if they have been Accepted or are on the Waiting List. Subsequent applications will be added to the Waiting List. Don't have a profile? Register here. Don't have a profile for them? Register here. A password will be e-mailed for later use.